The Princess has had enough of her annoying little brother Doofus. She decides to sell him at the flea market. Perhaps someone would trade a few sweets for him? It’s finally snowing. Princesses Pintsize and Thimble decide to build the finest snow car of all time and take it down the steepest hill. Princess Pintsize begins to wonder if Santa won’t leave her even a single present. Together with Princess Thimble, Pintsize becomes an elf and hands out Christmas presents to everyone, naughty and nice alike. 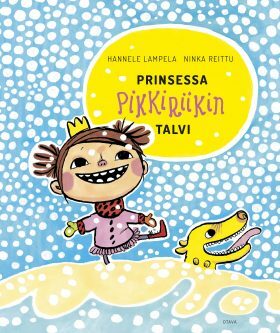 These three wintry stories of the fantastic everyday life of Princess Pintsize are great bedtime story material!